YOUR ONE STOP FOR ALL THINGS BURKE GIRLS SOCCER! 100 Goal game was a great event once again! We had a slow start, but caught up and finished right under the 2 hour mark! Our Golden Boot winner was our freshman GOALIE Laine Alber!! We also donated 116 pounds of food to the Food Bank of the Heartland! Nice WORK!! 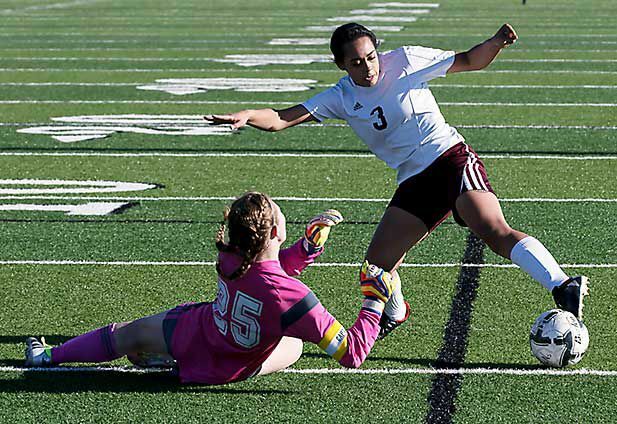 Burke Girls soccer has teamed with TAGG (TogetherAGreaterGood.com) to raise some extra funds. It works like a dine-out but its everyday, all day! 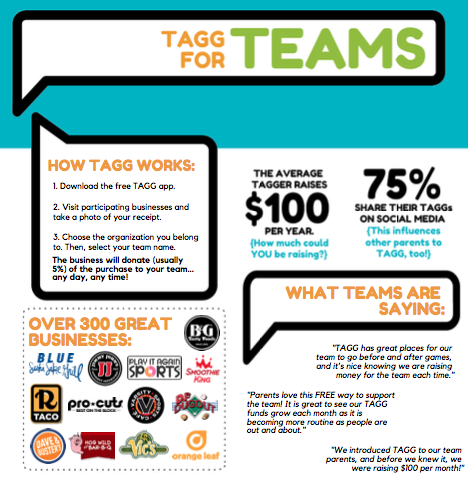 You download the TAGG app and upload a picture of your receipt from participating business and the business will donate part of your purchase to your chosen organization. To choose our group, first select BURKE HIGH SCHOOL and we are in the sub-headings. Some businesses even reward you for participating in TAGG. There is a HUGE list of participating business you can find here. Welcome back to a new school year!! As we get started and think about Spring, we want to wish the best of luck to all of our alumni who are lacing up for a college this fall! District runner-up again. Not where we want to end the season, but we're getting better. We won more games than any Burke girls team in the last 6 years. We met our goal of playing for the championship of all of the invites we play in. Here are the plans for our new Soccer Stadium presented Friday at the Architectural firm of Holland Basham Architects! A hard loss Wednesday night for our team. After battling since the first week of the season though injury after injury, illnesses and injury, oh and injury, we accomplished one of our season goals of making it to the District Championship game. After our Monday upset of #1 seeded Norfolk (who won the wild card today and made it to the State Tournament with the help of Millard South who upset Lincoln Southeast) we faced #7 Papillion LaVista for a chance to go to State. We played 50 minutes of scoreless soccer until they finally netted the lone goal and game winner, 10 minutes into the 2nd half. Our players pushed and pushed and just couldn't get dangerous shots on goal. Sophomore captain Holli Knudsen played through an extremely painful back injury to record 15 saves on the night, and help keep it close. Every player played their heart out and left it all on the field. I have never been more proud of a team I have coached than this year's team. It would have been easy after that first week to just give up on the season, and really any time after as we added injury after injury, but these girls NEVER gave up. They battled and worked and fought in every game we played against every opponent. No team was better suited for being BETTER THAN THEIR RECORD. A special thanks to the seniors and everyone else who made the season something special.